Just soak the almonds overnight in the filtered water. 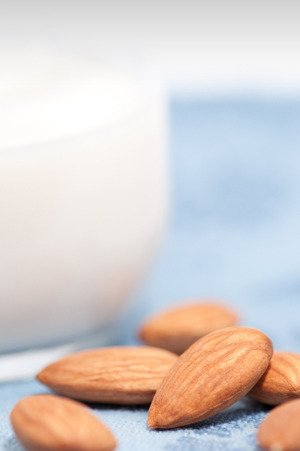 Drain out the filtered water the next day, and blend the almonds in 2-6 cups of new filtered water. Strained the mixture, and you are left with almond milk! For a full set of instructions (including photo-by-photo details), check out Frugally Sustainable!